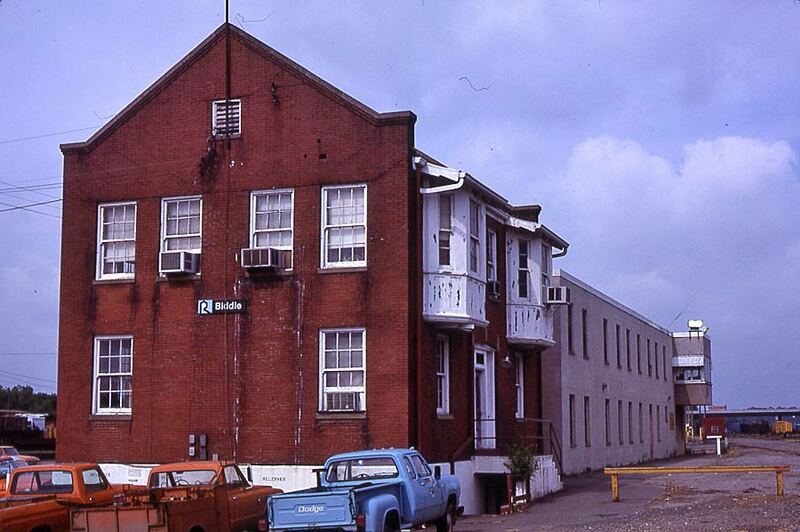 Biddle yard office and office building, 1981. The mailing address for Rock Island's Biddle offices was 3100 Confederate Boulevard. By 1907, and perhaps earlier, Rock Island was acquiring land in south Little Rock for a proposed freight yard and terminal. 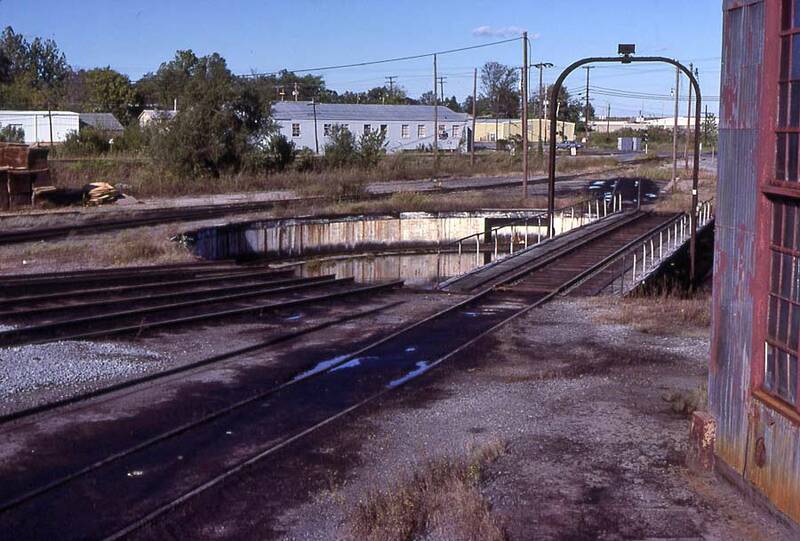 The Louisiana Division of the railroad had opened a year earlier, and the expectation was that traffic from that line would overwhelm the existing Rock Island facilities in Little Rock and Argenta. The planned facility was named for W.B. Biddle, the 3rd Vice-President of the Rock Island, who headed the railroad's traffic department. Biddle had come to the Rock Island from the Santa Fe in January 1905, then moved to the Frisco by 1910 when the Rock Island and Frisco affiliation ended. 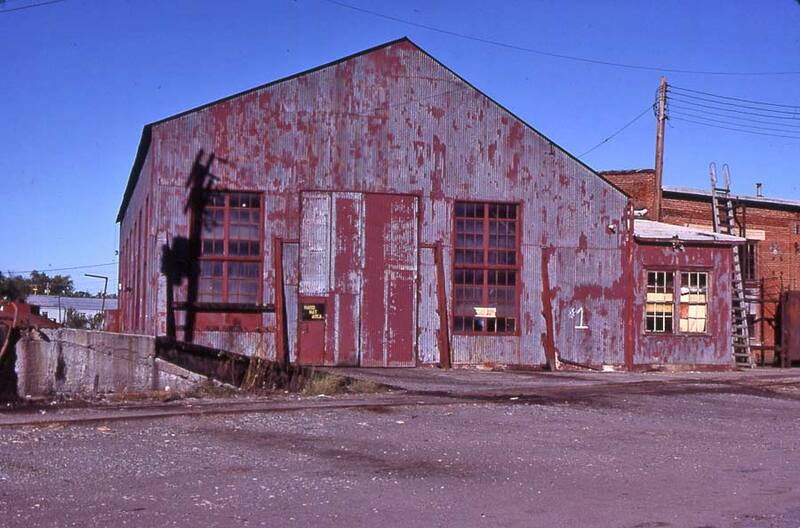 The panic of 1907 and depressed business conditions delayed any significant development at Biddle until ca. 1910-1911, when the roundhouse and most other buildings were constructed. 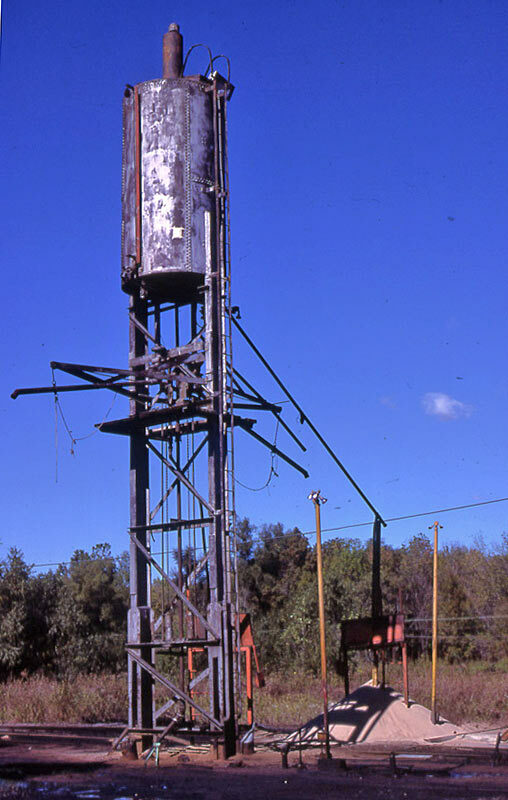 Biddle first appears in employee timetables in late 1908, milepost 136.4, with facilities W (water) and Y (the wye at Hot Springs Junction). 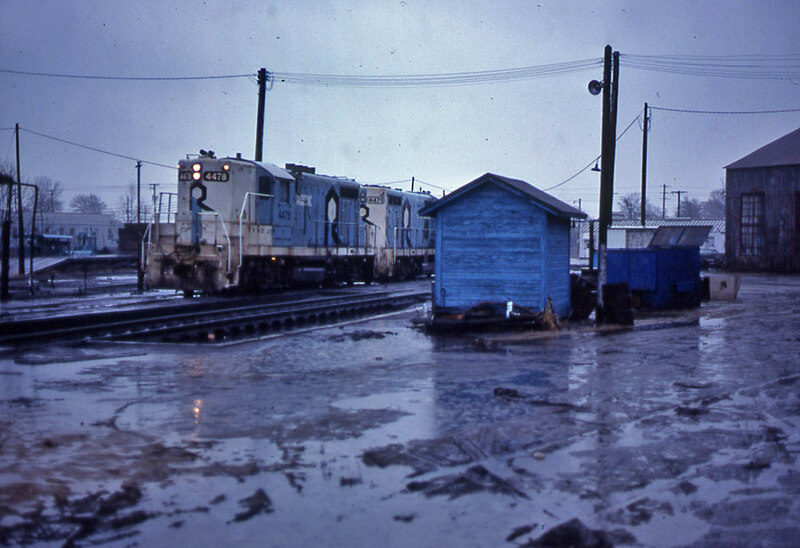 By mid-1910, all west end freight trains were originating at Biddle, while east end freight trains continued to originate at Argenta. 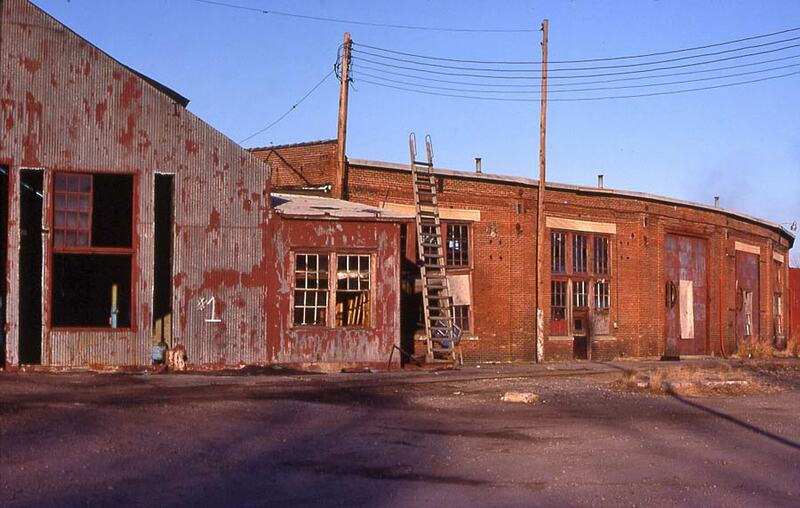 Biddle continued to eclipse Argenta as operations were gradually moved, and by 1918 freight train and shop operations had been consolidated at Biddle. 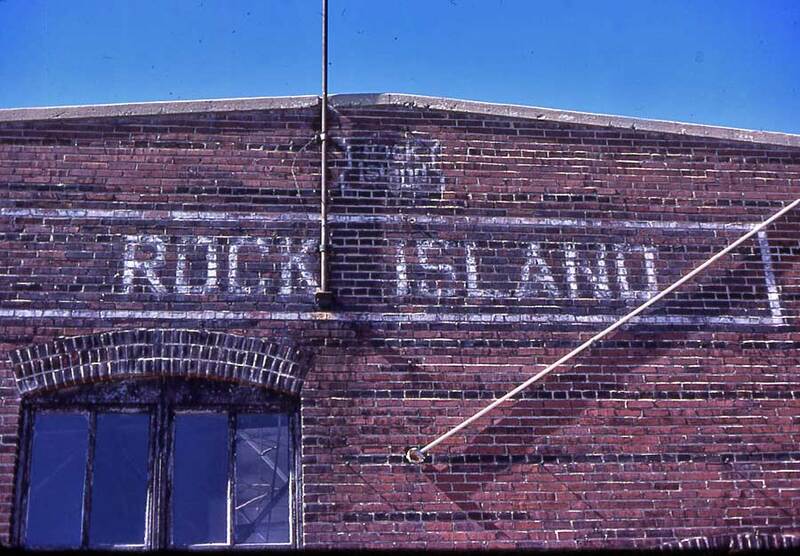 For some period in the 1910-1915 period, Rock Island operated both contract taxi service and the "hoodlum", presumably an employee shop train, to accommodate the many employees who owned homes in Argenta but whose jobs had been transferred to Biddle. 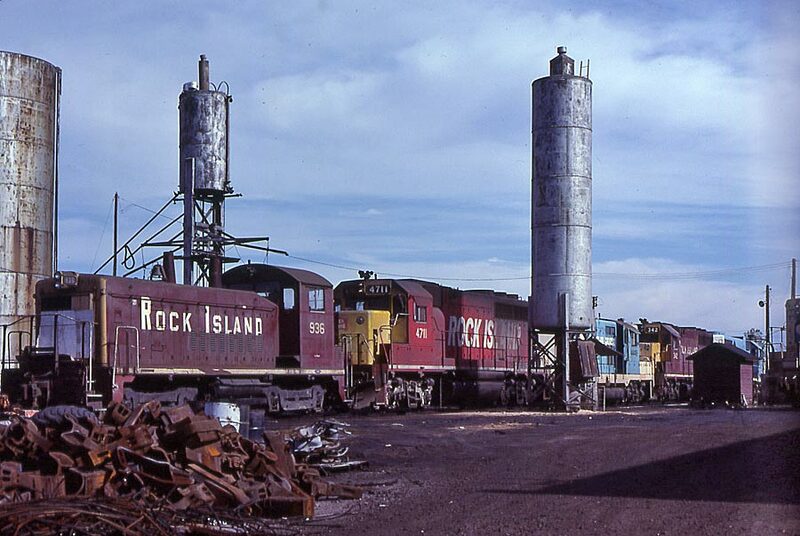 Coincidentally, Rock Island also operated a freight station in St. Louis, located at the intersection of Biddle and Collins Streets. The Biddle name, in that case, was honoring Major Thomas Biddle, a landowner and hero of the War of 1812, with no connection to the Rock Island. 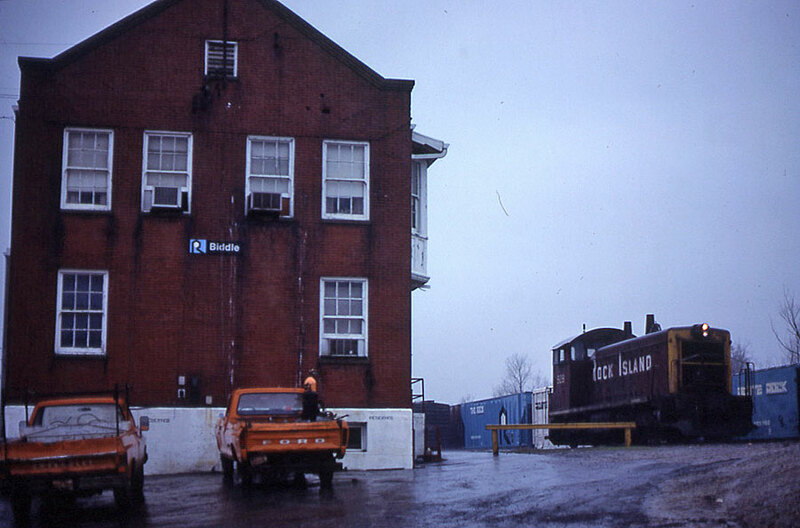 The crew change point for RI passenger trains at Little Rock was always at the Choctaw Route passenger station, but Biddle continued as the freight crew change point until the Rock Island shutdown in March 1980. 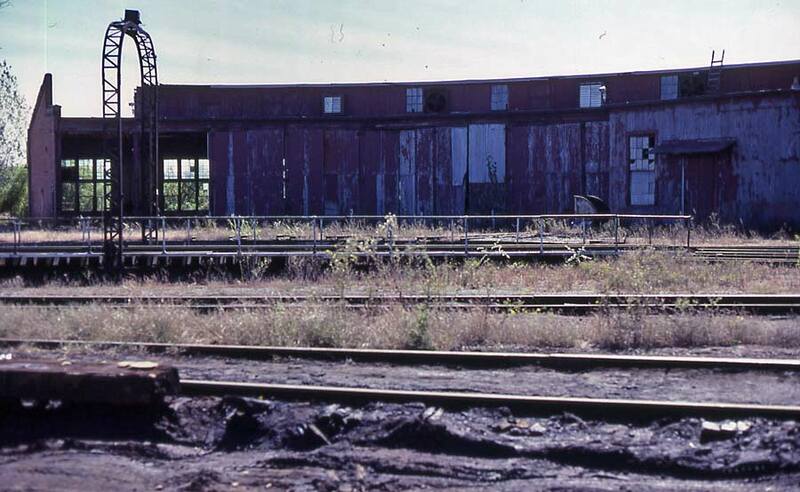 A portion of the roundhouse and the yard office continued in their original function until the end of the railroad. 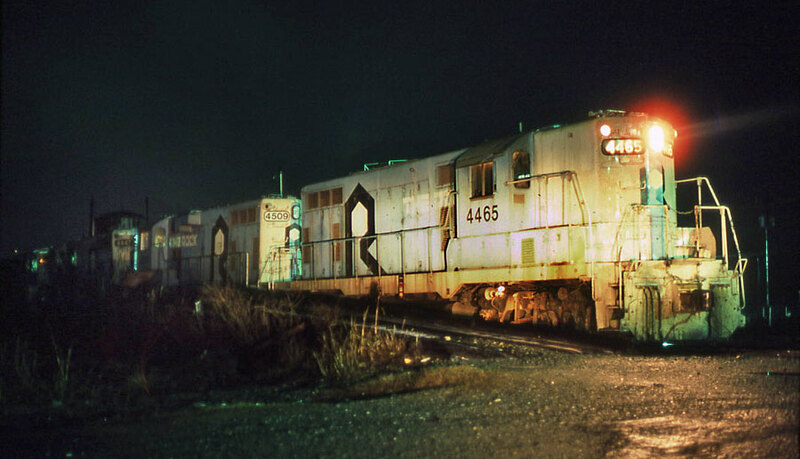 As Rock Island operations ended, the Cotton Belt assumed operation of Rock Island trackage from Memphis to Little Rock to Fordyce on Monday, March 24, 1980. 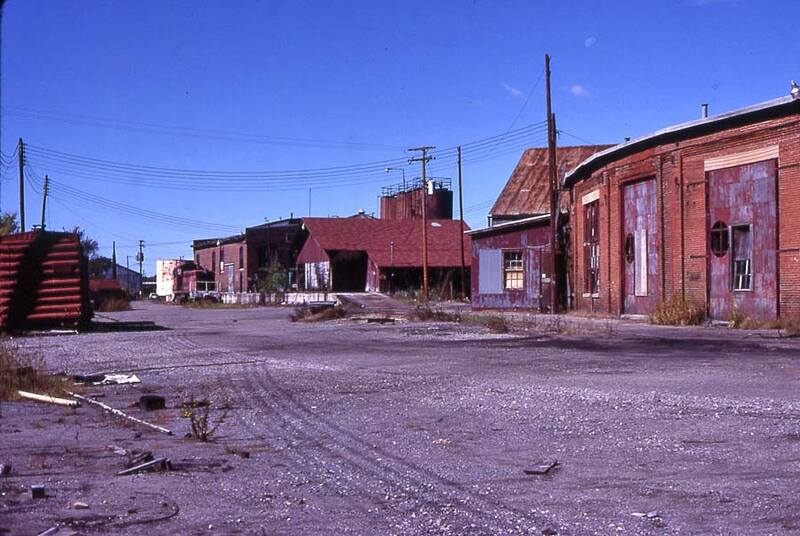 After this time, the Biddle facility was somewhat arrogantly renamed "Little Rock Yard" by the Cotton Belt. 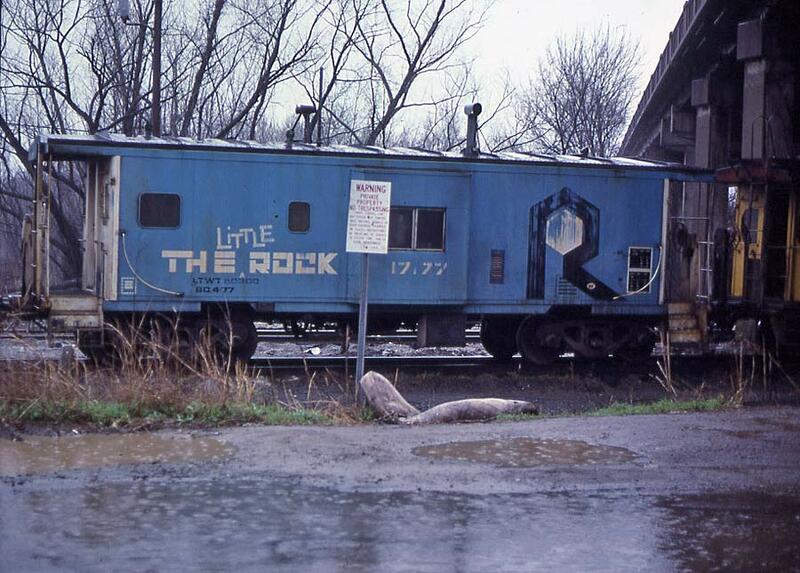 For the last week of its existence, the Rock Island was merely a tenant in its former yard. 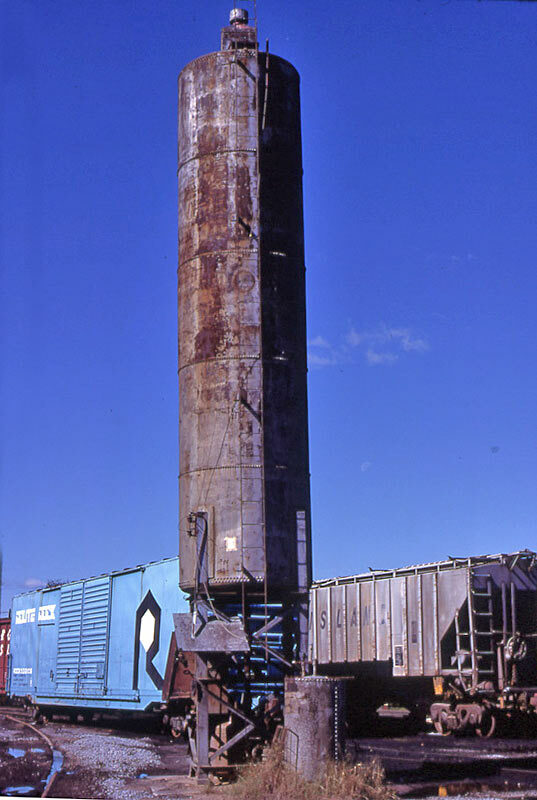 Cotton Belt directed service over the Rock Island ended May 31, 1980, and the Biddle trackage was subsequently acquired by the Missouri Pacific. 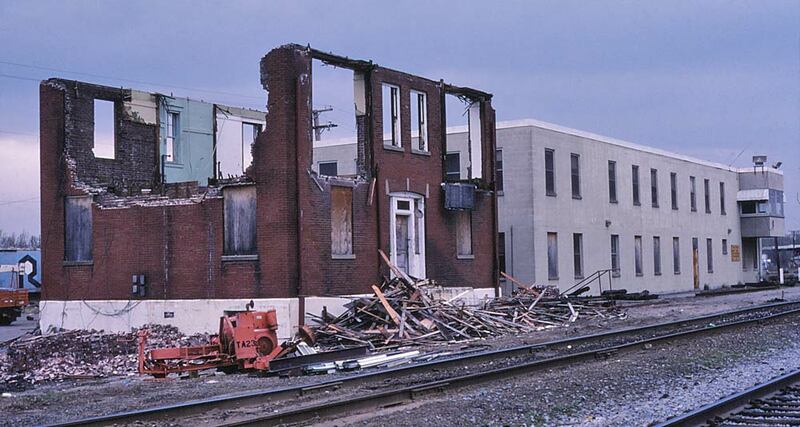 Over the next few years, all Rock Island structures were razed, Rock Island tracks were removed, and all new yard trackage (on the same general alignment) was put down by Missouri Pacific. 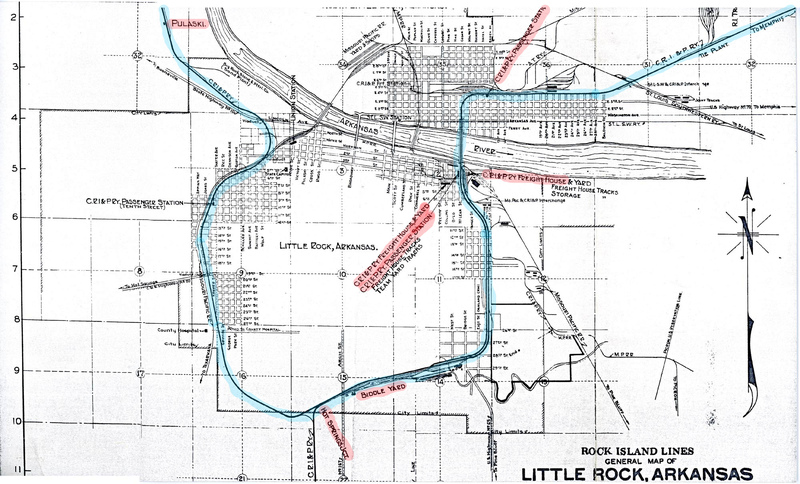 The following two maps help to visualize the location of Biddle in terms of Rock Island's circuitous route around Little Rock, as well as a more detailed map of most of the Biddle yards circa 1955. Sunday evening, March 23, 1980. Power for an extra west waits at the yard office for a crew. 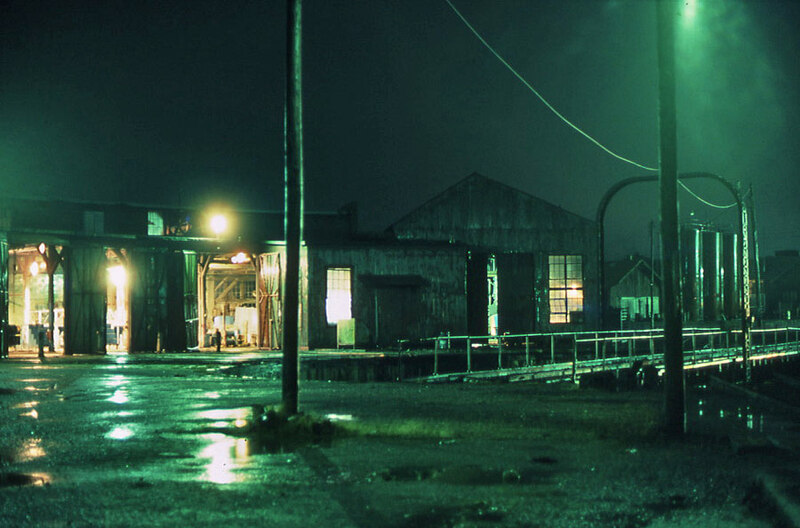 A bitterly cold rain and eerie silence mark the final hours of Rock Island operation of Biddle shops. 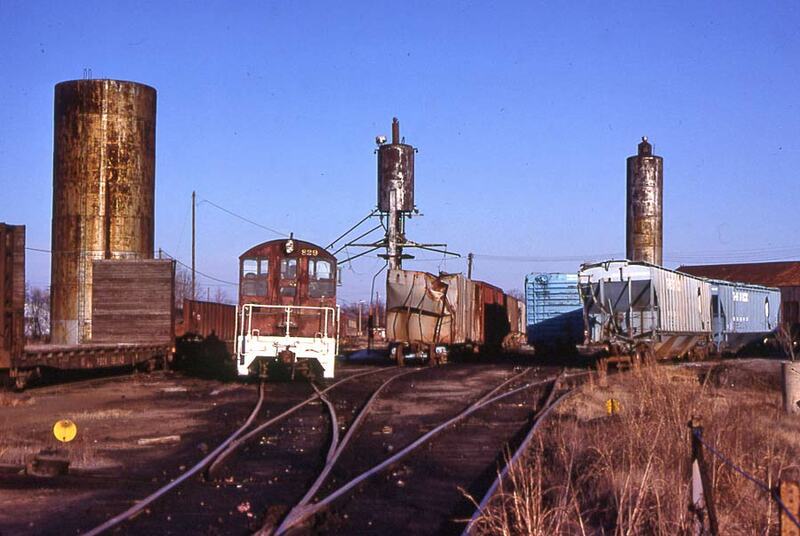 Most remaining roundhouse and clerical jobs, as well as switch engine assignments, were abolished at the end of the second shift. 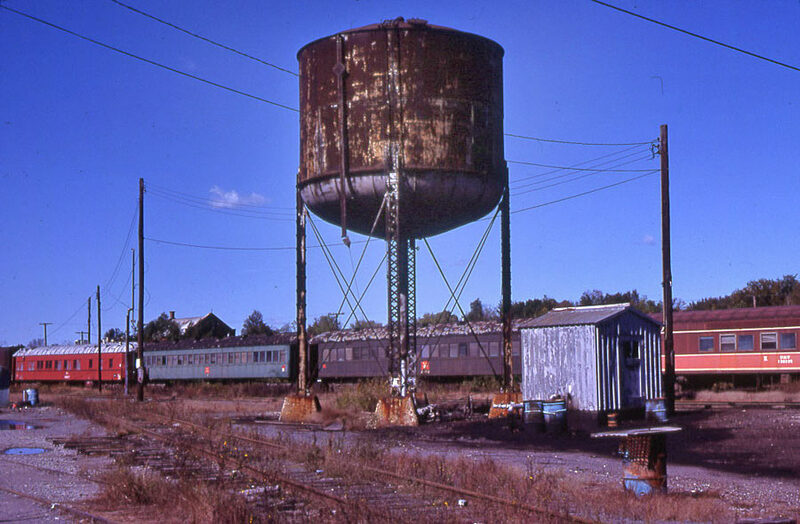 Tomorrow morning, Monday March 24, those few RI employees fortunate enough to have been hired by Cotton Belt would start to work for a new railroad. Equipment from the "Little" Rock awaits movement to El Reno, switcher 838 on March 22 and caboose 17177 as part of the last RI train west on March 29, again in a relentless rain. 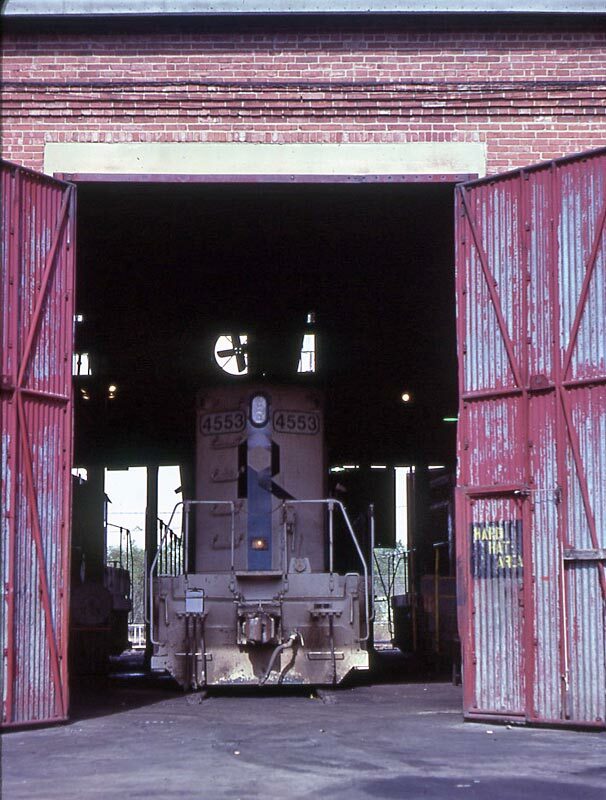 Locomotive 829, assigned to trustee clean-up operations at Biddle, has filled the former engine terminal with crippled freight cars. 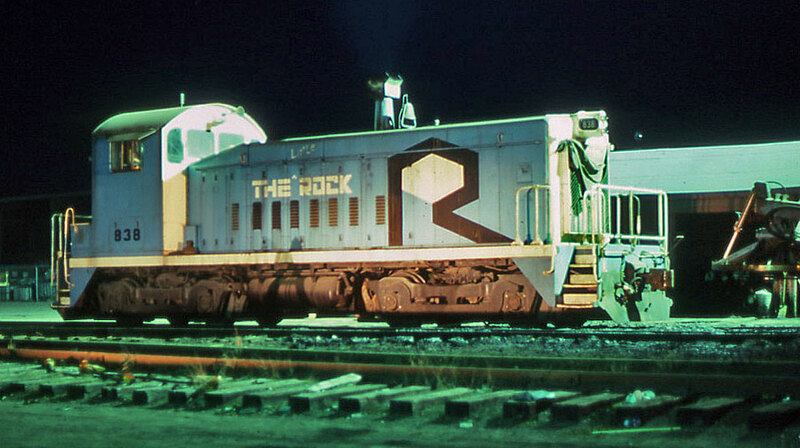 For details on the passenger cars, see Remember the Rock, Volume 6 No. 1, 2010. 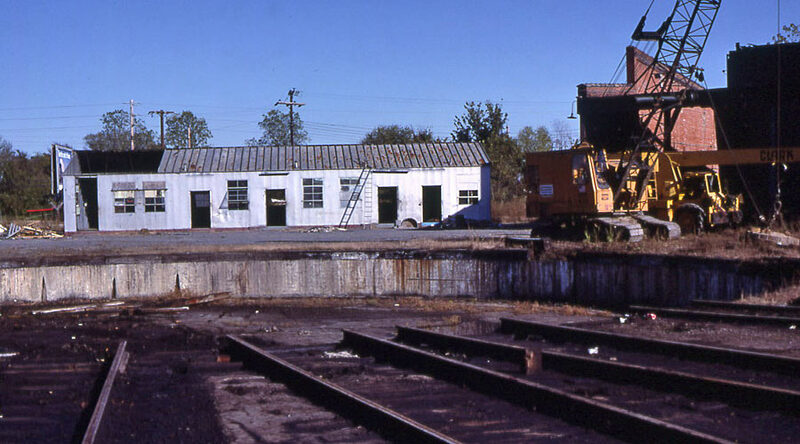 The storeroom building was located west of the roundhouse. 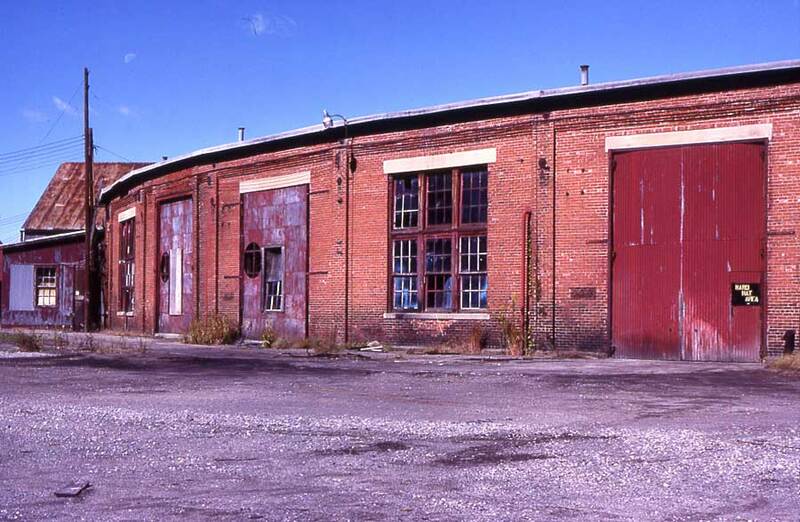 The first view is of the west end of this building, with the roundhouse in distance. 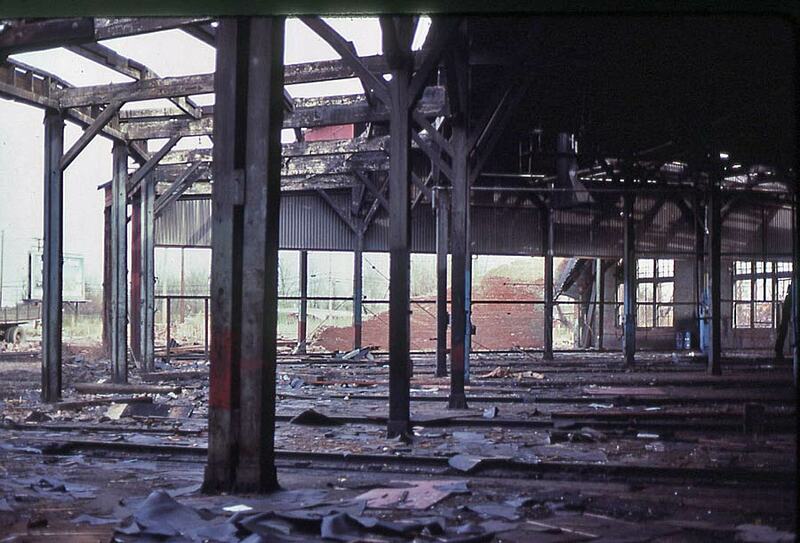 The second view is of the east end of building, overlooking an elevated loading dock and outside storage area. 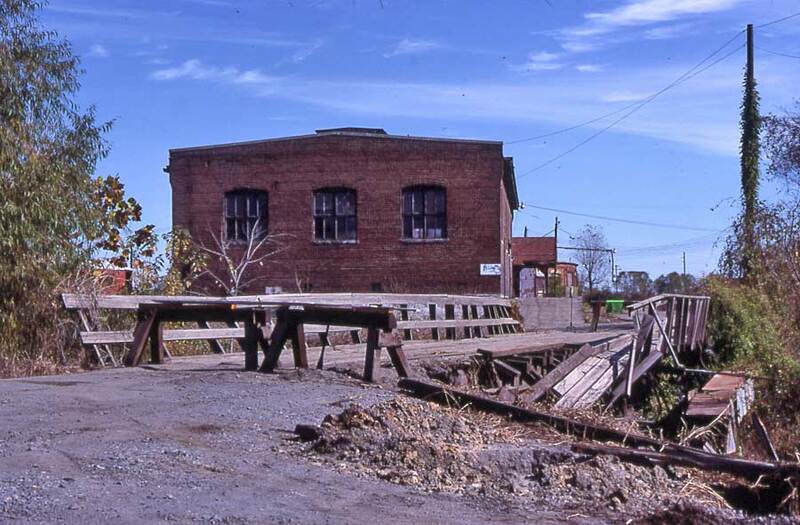 The bridge was destroyed by a crane slipping off during demolition of yard structures. 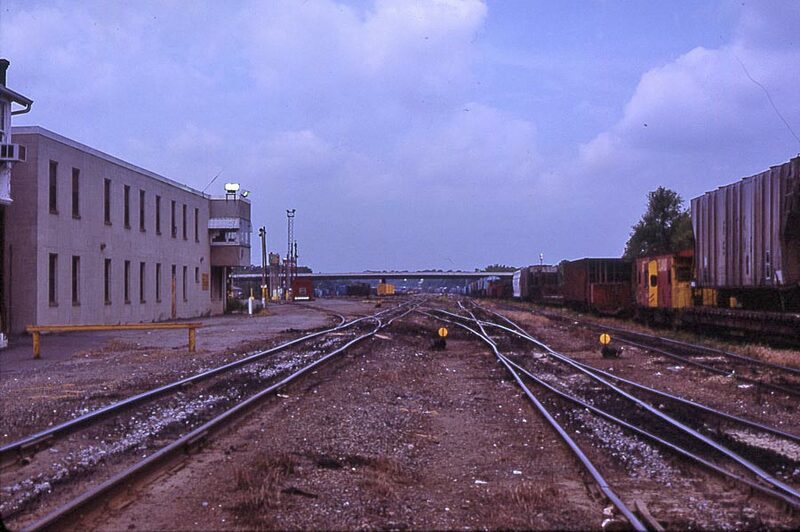 Biddle yard, looking west from yard office, June 1980, after end of Cotton Belt directed service. 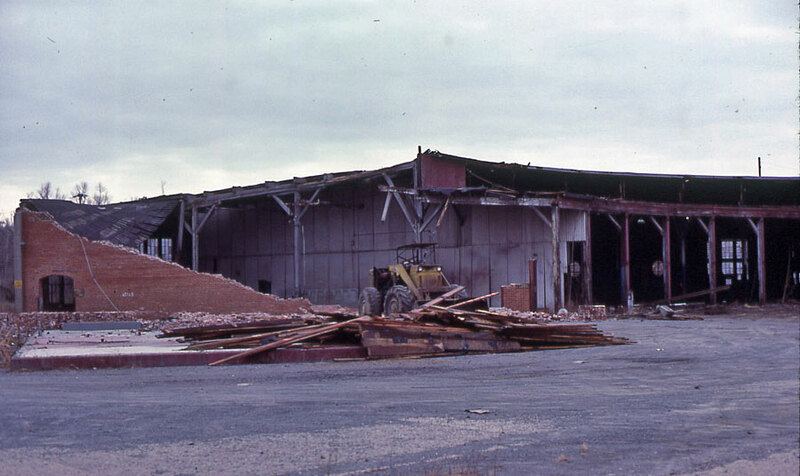 Biddle yard office being razed in March 1984. 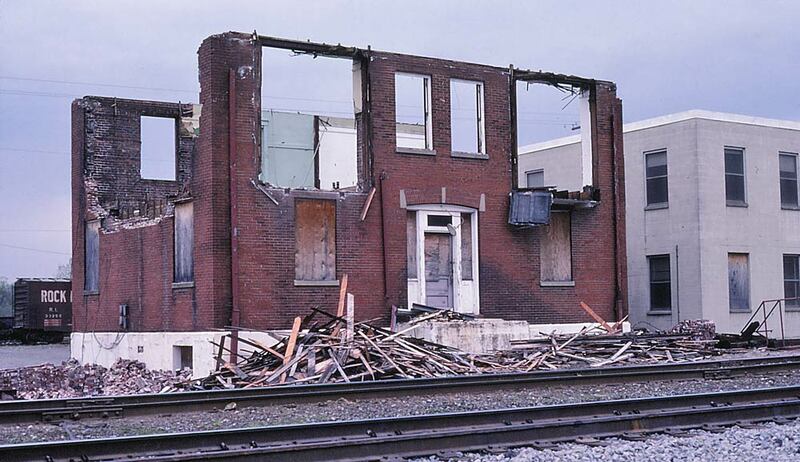 Missouri Pacific intended to use the cinder block office building adjacent to the historic yard office building, but a fire during renovation gutted that building and it was also razed. 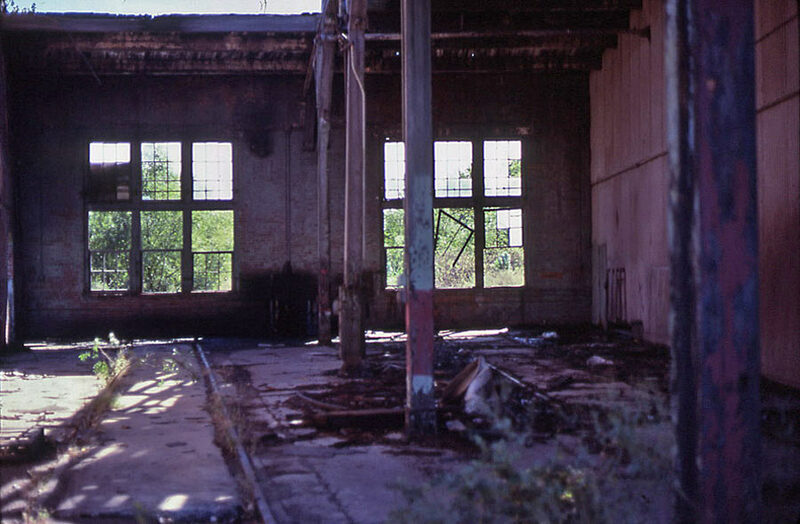 The cinder block building had been occupied in early 1968, allowing all Rock Island offices in the former passenger station and elsewhere in Little Rock to be relocated to Biddle.